Disney's Hollywood Studios (originally known as Disney-MGM Studios) showcases the glitz, glamour, and excitement of movie-making. Over the years, the park has expanded to nearly twice its original size and now features more shows and "reel-life" adventures that can be enjoyed by the entire family. Attractions at Disney's Hollywood Studios incorporate a wide variety of film-making technologies that have been refined by Disney—including Animation, 3-D, and Circle Vision 360. Live shows and parades showcase star-quality talent and stunt prowess, turning them into exciting and entertaining productions. Thrill-seekers can find their own adventures in a one-of-a-kind coaster or drop tower ride. While it's nearly impossible to see all the attractions at Disney's Hollywood Studios in one day, include at least one or more of the following top eight can't-miss attractions. Compete in Toy Story Mania! Toy Story Mania! is one of Disney World's most popular rides. Inspired by the Disney·Pixar films "Toy Story," Toy Story 2" and "Toy Story 3," the attraction is set amid the "Midway Games Play Set" Andy, the little boy in the story, got for his birthday. Guests become toy-sized and immerse themselves in high-energy interactive 3-D carnival gameplay, spinning from game to game competing with fellow guests for the highest score. Since opening in 2008, Toy Story Mania! has earned an unfortunate reputation for extremely long lines that often leads to hours-long waits. While it is a FastPass+ attraction, those tickets are limited and the limit is often reached just minutes after the park's opening. Still, the ride is well worth the wait, even if you only get to experience it once. Have someone in your party run with all of your party's admission tickets to the FastPass+ machine located adjacent to the attraction just as soon as you enter the park. Once you find out what time you are due to ride the attraction, you can plan the rest of your day. Although this is a family attraction with no height or age restrictions, the ride is probably not suitable for babies (there is no lap seating) or children small enough to topple over during the spins. Families with infants or toddlers can take advantage of Disney's Rider Switch Program that will keep them from spending too much time in this popular ride's line. Toy Story Mania! is wheelchair accessible and those who are wheelchair-bound can either stay in their wheelchair and be wheeled onto a carnival tram vehicle or step in. Because Star Tours had been a popular attraction at Disney's Hollywood Studios since 1990, its reopening in the spring of 2011 was met with much excitement and anticipation. The power of the Force and the magic of Disney was combined to create the revamped "Star Tours - The Adventures Continue" featuring 3-D, a dramatic musical score and motion simulator-based technology. The attraction offers guests over 50 story combinations, so you'll want to ride it over and over! Due to the attraction's popularity, plan to ride early in the morning to avoid a long wait or pick up a FastPass+. Star Tours has a height restriction of 40 inches. Families with infants or toddlers can take advantage of Disney's Rider Switch Program that will keep them from spending too much time in this popular ride's line. If you're a Star Wars' fan, visit during Disney's Star Wars weekends when you'll find celebrity appearances and autograph sessions, additional characters, and more themed merchandise. A concert-goer's quest to see one of the world's greatest rock and roll bands takes a few unexpected twists and turns through the Hollywood hills in Rock 'n' Roller Coaster Starring Aerosmith at Disney's Hollywood Studios. The thrilling ride features a high-speed launch of 0 to approximately 60 m.p.h. in just 2.8 seconds, three inversions, rock-concert lighting and a specially-recorded Aerosmith soundtrack blaring from 120 onboard speakers in each 24-passenger "super stretch" limousine-themed coaster car. Coaster- and music-lovers as well as thrill-seekers will love this high-speed indoor ride and may find themselves going back again and again for this one-of-a-kind experience. The coaster has a height restriction of four feet. Families with infants or toddlers can take advantage of Disney's Rider Switch Program that will keep them from spending too much time in this popular ride's line. "Cars" movie fans will want to be first to get in the middle of the action to learn all about racing from Lightning McQueen, the champion racer starring in the show. Opening in March of 2019, toddlers to tweens will have the opportunity to learn what it takes to be a champion racer from the legendary Lightning McQueen. There's a state-of-the-art racing simulator with a wraparound screen where you can follow the progress, or lack thereof, during the race. After the show, you can have your picture taken with actual race trainer Cruz Ramirez. 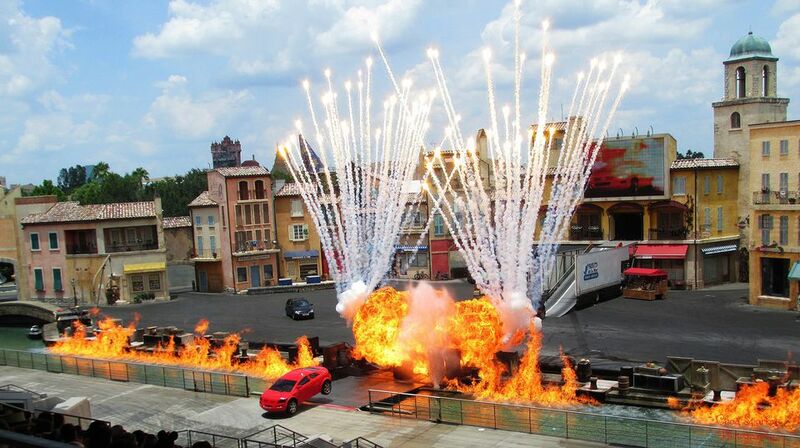 Because of this new addition Disney’s Hollywood Studios is now the place to hang out for "Cars" fans. A new fun zone at Disney’s Hollywood Studios has something for everyone, especially fans of "Toy Story." A family-friendly slinky coaster will thrill the little ones and provide a coaster ride even coaster-adverse adults will find fun. You'll be riding in Slinky Dog as you hit the curves and hills of the ride. You'll feel like a toy alongside Woody, Buzz Lightyear, Jessie, and the rest of the "Toy Story" characters. There's giant building blocks and board games to play because you are toy-sized and everything else is larger than life. "The Incredibles" is a popular movie super-hero family. Through September 30, 2019, Pixar Place is transformed into a "Municiberg" block where you can enjoy these favorite superheroes and become one yourself. This all ages experience will have a hosted dance party, a chance to visit Edna Mode’s Super-Suit Gallery with fashions from the movie, and an Incredibles- themed game where you'll get clues to help you search for Jack-Jack, the youngest member of this superhero family. "Star Wars: Galaxy’s Edge" opens in fall of 2019 and will thrill "Star Wars" movie fans young and old. You'll be able to pilot the famous space ship, "Millennium Falcon," and participate in a battle on "Star Wars: Rise of the Resistance," billed as "the biggest and most immersive Disney Parks attraction ever!" On "Mickey and Minnie’s Runaway Railway," you’ll feel like you are actually going through the movie screen to ride along with the iconic Mickey Mouse and his buddies. You'll be visually immersed in the cartoon where the twists and turns will be unpredictable. No goggles are needed for this experience which will be opening in the fall of 2019.